The China Glaze polish was my absolute best find from a local online auction site for $10 - I know! Score! I'm looking forward to trying these Maybellines - they look to have a fabulous shimmer. Mesmerize just seems like such a great blue! Looks like you have about as much self control as I do! Every week I 'start over' with my low-buys. I have come to face it that I will never be on a no buy. 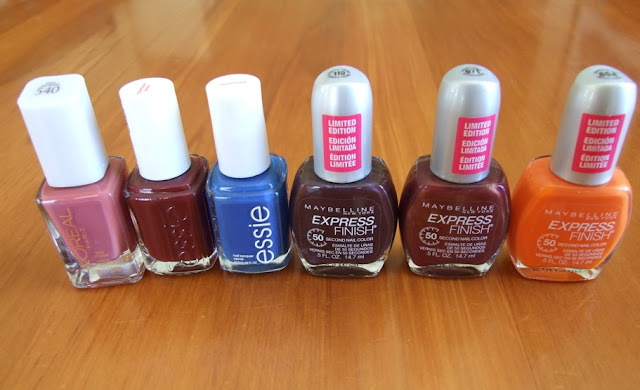 But, each week, I find myself buying at least 10 polishes. That's just insane. Glad I'm not the only one! :) Great haul! omgggg I've been dying for CG 2030!! I just refuse to fork out the ebay price. sigh. You should see my haul post, that's why I'm now on a no-buy! I need your car and wallet :P they both make such great decisions! !